Our Cute Cuddles sensory blankets are a great choice for your babies sensory needs. They are beautifully patchworked to be special, one-off snuggle blankets with the added bonus of ribbons for sensory development. Order your sensory blanket today and start enjoying the smiles and laughter of your special child tomorrow. Make this gift even more special by adding it to a gift basket here. 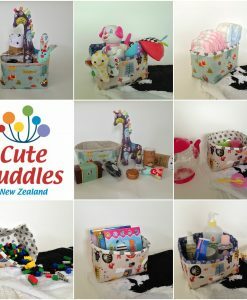 Hunting for the perfect baby gift? Our handmade sensory blanket is made with love, just for your special little one. 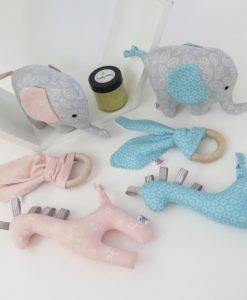 Each of our baby products is unique, ensuring you give a one of a kind gift, which parents appreciate just as much as their newborn does! Beautifully patchworked panels backed with 100% cotton flannel make these a great choice for bubs. 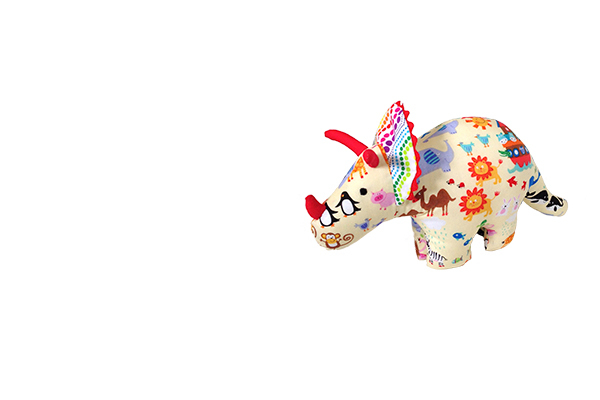 They are a generous 12″/30cm and have ribbons for sensory play for little fingers. Like everything else I make, you can rest assured that these too are unique and I’ll never make the same blankie twice. How special is that? Designed to be the perfect comfort buddy for your baby, they are easy to wash too. Being 100% cotton you can rest assured we have used the best natural fibres for your babies comfort.